Puccinellia (puccinellia ciliata) and tall wheatgrass (Thinopyrum ponticum) often show ecological zonation in saline landscapes, with puccinellia occurring in less elevated more saline/waterlogged locations, and tall wheatgrass occurring in more elevated less saline/waterlogged locations. The aims of this study were to: (a) characterize the observed ecological zonation at a field site, (b) quantify the effects of variables likely to explain growth differences of the two plants in glasshouse experiments, and (c) identify and compare anatomical and physiological mechanisms that explain these zonation patterns. 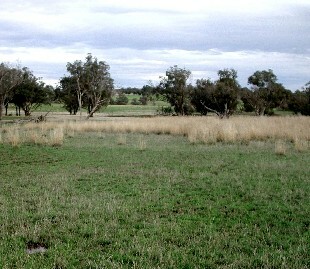 Tall wheatgrass (Thinopyrum ponticum) and puccinellia (Puccinellia ciliata) show ecological zonation in the field; tall wheatgrass occurs in moderately saline waterlogged situations and puccinellia occurs in slightly more saline waterlogged areas. Quantifying the salinity/waterlogging interaction in the field will provide insights into the causes of zonation in natural environments and will be critical in targeting plants to landscapes in new saline agricultural industries.